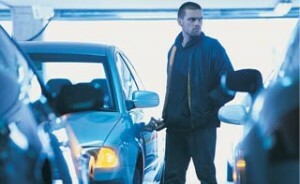 Damage or theft cause by accident or break-in to your vehicle can be unsettling to say the least. But with Car Toys Insurance Replacement Program, we can help soften the blow and get you back on the road with a full range of solutions including easy claims service, expert repair and installation, and the best parts and brands in the business. What happens next? All incoming claims are processed promptly and assigned to one of our insurance claims specialists. A complete estimate is generated based on an inspection of the damage, parts required for repair or replacement, and other factors. Along the way, our specialist will contact you and your insurance company, and take digital photos of the damage. Your estimate will be returned to you showing all pricing detail, as well as all products and parts needed for the job. With authorization and approval of that estimate, we’ll schedule an appointment for your repair at a time that works best for you. Nobody beats a Car Toys price, guaranteed. Rest assured that while our car audio, video, navigation, safety and security products are the best in the industry, we work hard to keep our prices low. In fact, we shop the competition to make sure nobody beats a Car Toys price, and we guarantee it. © 2014 Car Toys, Inc. All Rights Reserved.